You still have a few days to play along with both of the challenges at Another Freaking Scrappy Challenge and also to apply for the DT. It’s always awesome to have old and new friends play along!! 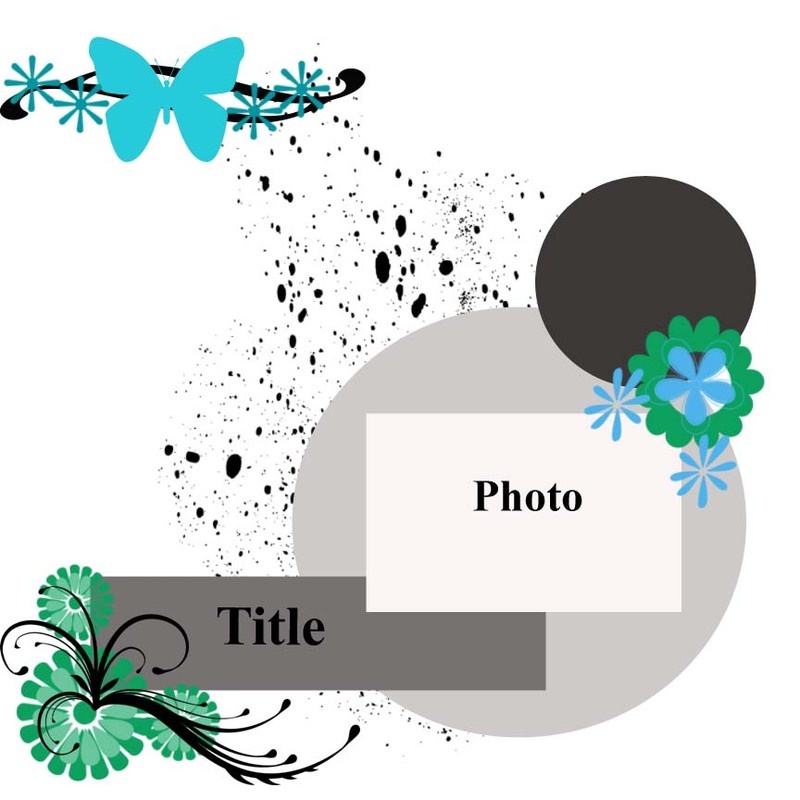 Loving the mood board over at Off the Rails Scrapbooking – just couldn’t wait to do my own layout based on the colours!! 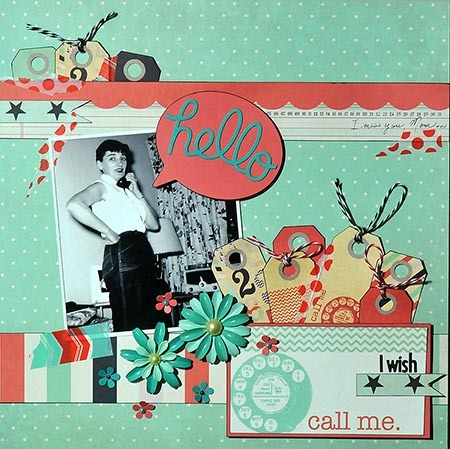 Loving the papers from Fancy Pants Designs Inc. Trend Setter line of papers. The model is my beautiful mother Mary Wride (Marie Allain) back in the late 50s, early 60s. I sure do wish she could just call me – miss her dearly. Don’t forget to come and play along with Another Freaking Scrappy Challenge – we have a fun challenge on right now until the end of the month – and our sketch is coming on the 15th !!! Hey – we have a new sketch challenge over at Another Freaking Scrappy Challenge … come on over to visit to play along! You’ll find the challenges amazing!! Since you were a little girl you’ve loved the Blue Jays! 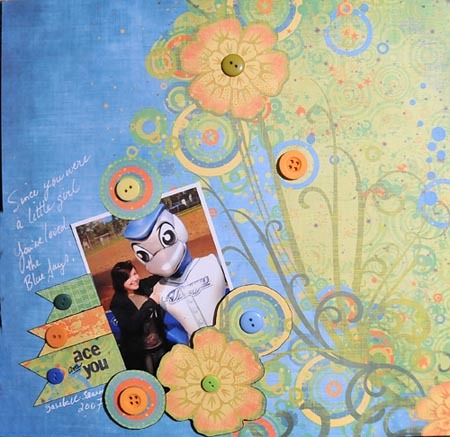 I used Fancy Pants About A boy Peace paper for the background and embellishments. It’s the 15th of the month, so it’s time for another sketch challenge over at Another Freaking Scrappy Challenge … Head over to HERE to see the sketch and play along. The girls there are lovely, and they’ll make you very welcome! My interpretation of the sketch features my daughter Mary Pennington while we were camping at Presqu’ile Provincial Park at the end of August 2010. I used Fancy Pants Celebrate Laugh and Make Merry papers and Celebrate Titles and Tags embellishments. February 22nd is Baden Powell Day – Baden Powell was the founder of Boy Scouts, and his sister Agnes was the founder of Girl Guides. 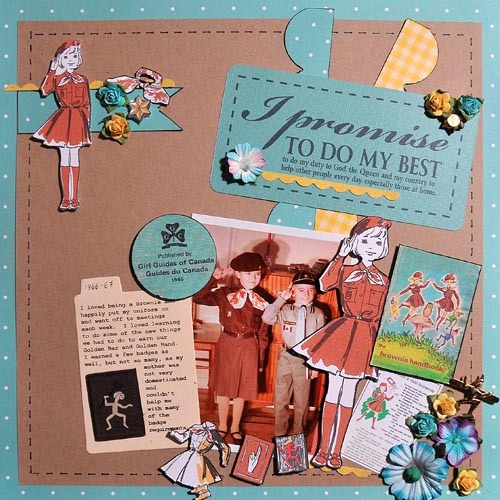 Scrap a memory of you in Scouting or Girl Guides (brownies, Sparks, Guides, etc.) or a memory of a group you belonged to when you were a child or teen. You may include a momento or journal a memory of what belonging meant to you. The children are my twin brother Gary and myself. We were very proud to be in Scouting and Guiding. I treasure the photos of he and I wherever I find them. We are also hosting a blog hop over at another Freaking scrappy challenge … with an awesome prize at the end. You get another chance at the prize by playing this sketch challenge and the 1st of February challenge as well. Come play with us – you will love the design team and the challenges!! 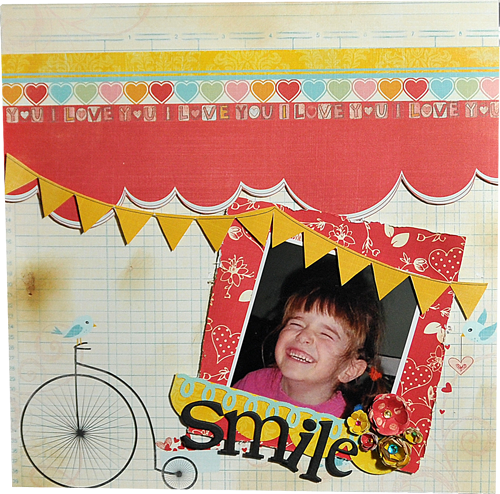 Meanwhile – over at Scrapbookers Anonymous (that other AWESOME challenge blog with the lovely Lea and Theresa, they are continuing their mid-month alphabet challenge. 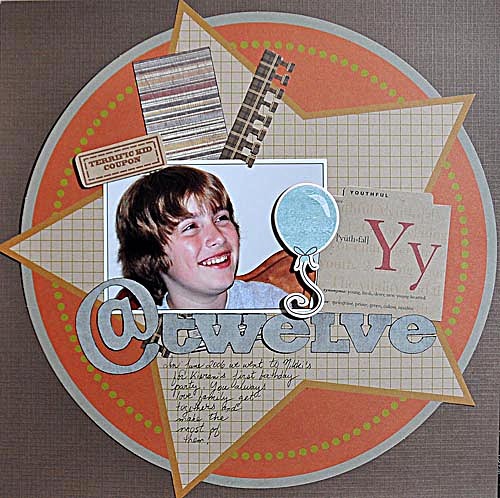 This time I used Fancy Pants Designs Graph Star paper for the challenge and feature my son Chris. Come on over and play, the owners and design team are lovely encouraging people who will inspire you!! 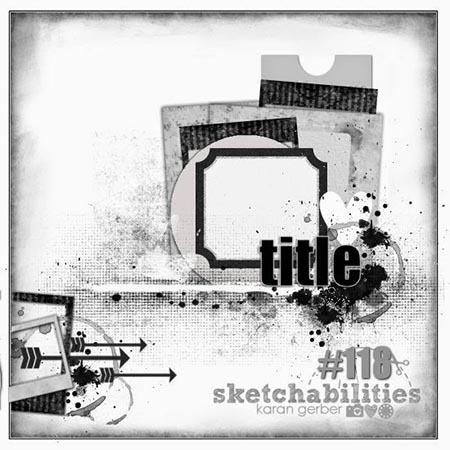 Little Shop of Sketches has posted their Sketch #92 (designed by DT member Ashley Van Etten). Here is my take on the sketch, using Fancy Pants Designs Love Birds Sending My Love paper and featuring my daughter Mary Pennington. 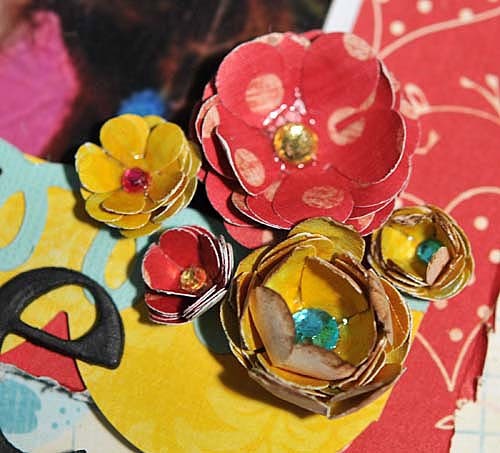 The close-up photo will show the flowers I made myself from that same paper line! !